Not the most photogenic dish but it was damn tasty. Heat olive oil in a Dutch oven over a medium-low flame. 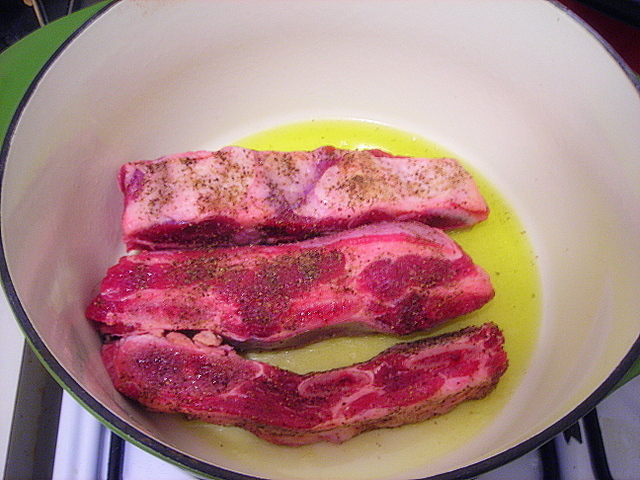 Pat short ribs dry; sprinkle with kosher salt and pepper. When oil is hot but not smoking, brown ribs in oil on all sides, about 10 to 15 minutes. When ribs are brown, set aside on a paper towel covered plate. Drain off all but 2 T. of the pan drippings. Add garlic and onion. Stir, making sure to scrape up any browned bits. Saute for 2 to 3 minutes or until onions are translucent. Add the vegetables. Add a pinch of salt. 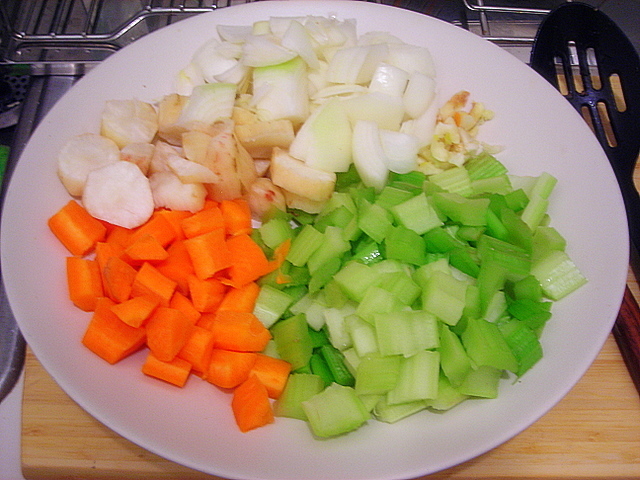 Saute for 5 to 6 minutes or until vegetables have softened. Deglaze with wine and balsamic vinegar. Add spices and short ribs. Skim off any scum that rises to the top. Add enough stock so that it rises halfway up the ribs. Cover and braise in the oven for 1 1/2 to 2 hours. To test for doneness, stick a fork in. If it slides all the way through, the ribs are done. If not, it needs more time. 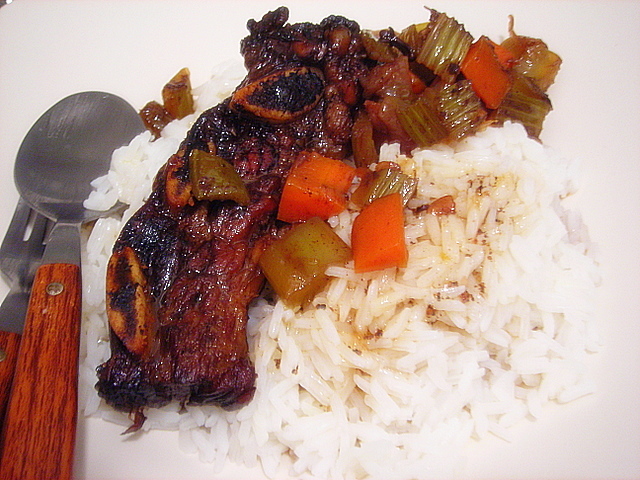 You can either serve the ribs along with the braising vegetables, or by themselves. Degrease the braising liquid and reduce the sauce by simmering over medium heat until it coats the back of a spoon. Check seasoning and serve immediately. 29 Apr	This entry was published on April 29, 2008 at 6:40 am and is filed under food, general. Bookmark the permalink. Follow any comments here with the RSS feed for this post.